Nail Harmony GELISH Soak off UV LED Gel Polish 01066 Anime Zing Color! 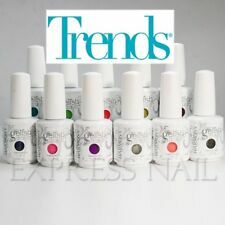 Nail Harmony GELISH Soak Off UV LED Gel Polish .5 oz - THE BIG CHILL Winter NEW! Nail Harmony GELISH Soak off UV LED Gel Polish 01060 Stepsisters Rule! Nail Harmony GELISH Soak off UV LED Gel Polish 01074 Holy Cow Girl! Nail Harmony GELISH Soak off UV LED Gel Polish 1100031 What's Your Poinsettia? Nail Harmony GELISH Soak off UV LED Gel Polish 01070 Pumps Or Cowboy Boots? Nail Harmony GELISH Soak off UV LED Gel Polish 01857 Are You Feeling It?